This is a commission slot. You can hire Dark06Star to create a personalized artwork of this sort here. 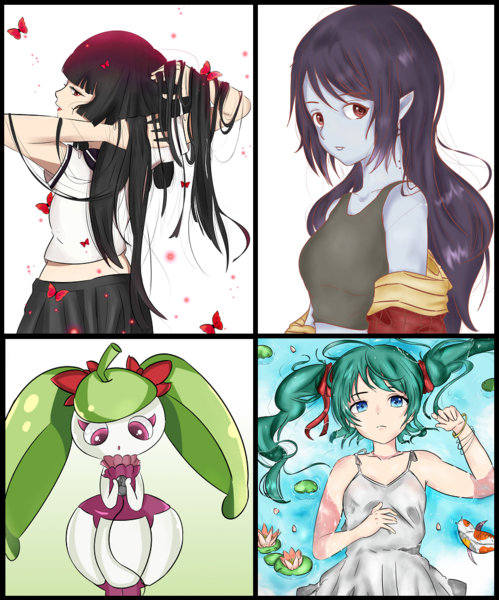 My drawings are in anime style. I can do full body or just a portrait, it's your choice. I also can draw a background if it's in my area of expertise, but simple blank background is what I'm best at. Please give a detailed description of the character you want me to draw. I hope you like my art and I'm looking forward to working together! Good artist, very quick response times! Amazing work! Was very quick to complete. Was very responsive and made me a lovely picture! Fast and easy to talk to! Even though i asked for something the artist never really did before, it still turned out as perfect as i wanted. Perfect every time. Super cute and quick art. For a second time the art was perfect! Incredibly satisfied. 100/10 will commission again!